Find other Christian wakeboarders and wakeboarding events in your local area, find other Christian wakeboard ministries which exist. Once you create your own free account you can also find local XSC chapters and be able to post to the forum. At eXtreme Sport Christians (XSC) you can connect with a community of Christian wakeboarders of all ability levels anywhere in the world. 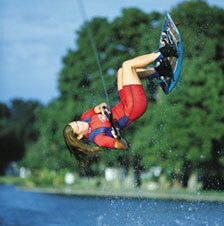 Anyone is welcome to attend one of our wakeboard, wakeskate, or water ski events or visit our chapters. We post our wakeboarding and other extreme sports trips to the events section of the forum and also on our Facebook page. Want to know more? Read about us. Have a Christian wakeboard organization or ministry not listed? Feel free to contact us with the details.